One of my friends used to be a consultant for a cosmetics company. That means that by the time she figured out that selling skin care was not for her, she was left with a pile of expired products. I was gifted some of these products as my friend knows that I am crafty and would likely find a use for them. She gave me three different types of products. I have been using the facial cleanser to clean my toilet and the facial moisturizer as furniture polish for my wooden kitchen table. The toner, however, was one thing that I had no idea what to do with. I checked out the ingredients and it was made mainly out of witch hazel. I would say it is likely 90% witch hazel, judging by the smell and the ingredients list. As soon as I knew this, I had an idea. I would turn it into a deodorizing fragrance mist for my house or an air freshener. 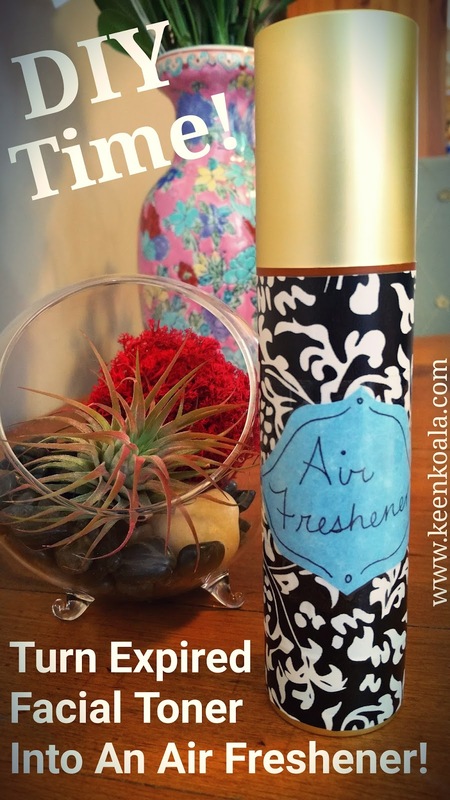 I had made many DIY air fresheners before and the main ingredient was always witch hazel! 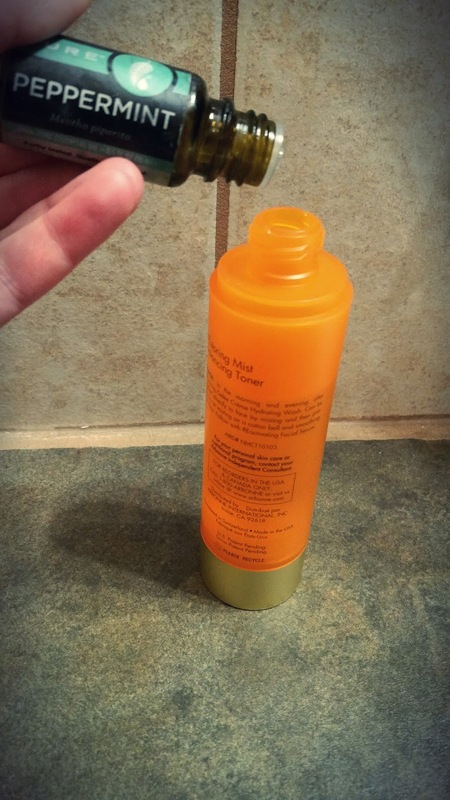 So, without further adieu, here is what you will need to do to turn your old facial toner into an air freshener! - Old expired facial toner. It doesn't even have to be expired. If you bought a toner that doesn't agree with your skin, feel free to use it for this! - An empty mist bottle. My toner came in a mist bottle, so I just used that. - Essential oils. Feel free to use whatever essential oils you have on hand. I chose sweet orange, patchouli, peppermint, and Texas cedar. 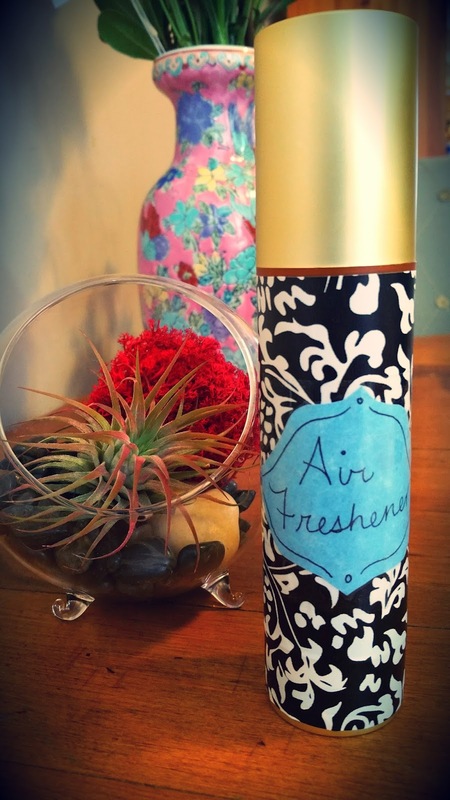 Pour your toner into an empty misting bottle, or if your toner came in a misting bottle, just leave it in the bottle. Add the essential oils. I used 20 drops of orange, 10 drops of peppermint, 5 drops of patchouli, and 5 drops of Texas cedar. Replace the lid and shake vigorously. Give it a spray and see what you think. Feel free to add more essential oils if the fragrance isn't strong enough for your likings. That's basically it! Wasn't that simple? I love it when I can figure out a way to use something that would otherwise be thrown in the garbage! Now that the "hard" part is over, you can feel free to make a pretty label or decorate your mister bottle to make it look cute! I used some pretty adhesive contact paper on mine! So cute! And check out my neat air plant too! Did you enjoy this tutorial? 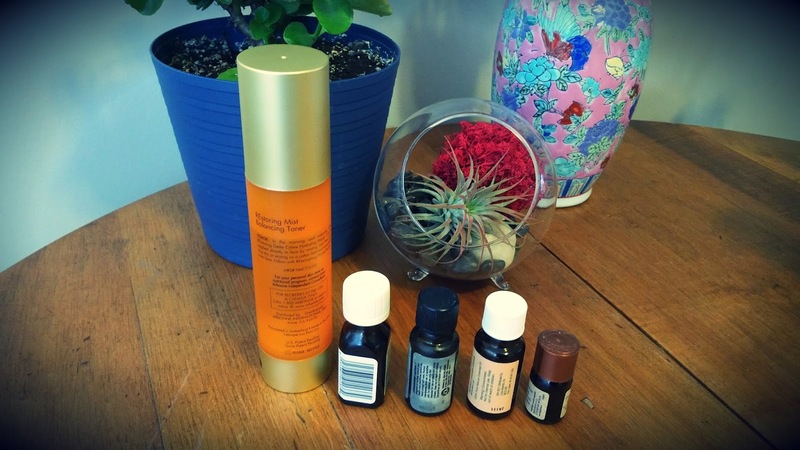 Did it inspire you to salvage your old toner and turn it into something new? Let me know in the comments section below. I would love to hear from you. For instant access to more great tutorials, exclusive content, and contests 'Like' Keen Koala on Facebook by clicking HERE!